Takeovers can occur for several reasons. Sometimes a successful, larger company, in order to become even more dominant, wants to acquire superior technology or a popular product developed by a smaller rival. Other times a struggling, larger company, to prevent its financial results from sinking, looks to acquire a successful rival. 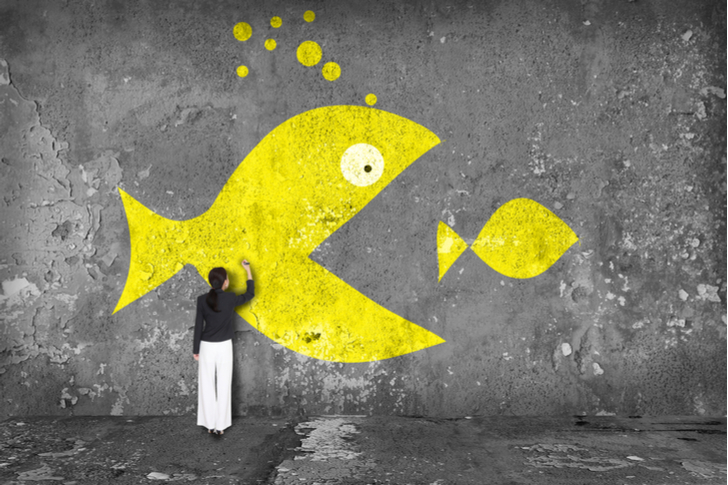 Finally, sometimes companies will make an acquisition to eliminate a competitor and grow their market share. Which means Lululemon Athletica Inc. (NASDAQ:LULU), Advanced Micro Devices, Inc. (NYSE:AMD) and Cheniere Energy, Inc (NYSEAMERICAN:LNG) are all potential takeover targets because they provide possible buyers with the ability to meet one or more of the above goals. Lululemon is clearly on fire, and its sales are growing rapidly. On May 31, the yoga apparel maker reported that its revenue had surged 25% in its fiscal first quarter ended in April, while its comparable sales jumped 19% year-over-year. Lululemon is very profitable, as its gross margin came in at 53.1%, while its income from operations was $104.3 million. There’s no reason to believe that Lululemon’s growth will slow anytime soon, as yoga is likely to continue to increase in popularity and no rival seems to be anywhere close to making a major dent in Lululemon’s yoga business. Many struggling, large retailers would clearly benefit from buying LULU. In addition to getting its hands on Lululemon’s profitable, rapidly growing business, an acquirer could quickly get exclusive access to LULU’s apparel, bringing many young women to its stores and onto its e-commerce site. These traffic increases, in turn, would also spur sales of products that are not made by Lululemon. Although the $17 billion-plus valuation of LULU stock would make it a difficult target, a deal could probably get done. In order to complete the transaction, however, a retailer may have to team up with one or more major private equity firms. Among the retailers that I believe could potentially do the deal are Target Corporation (NYSE:TGT), Walmart Inc (NYSE:WMT) and Macy’s Inc (NYSE:M). Amazon.com, Inc. (NASDAQ:AMZN) could also do the deal, in order to jump-start its clothing business. Some may say that Target and Walmart lack the “coolness” necessary to sell Lululemon’s products, but I think that Toyota Motor Corp (ADR)’s (NYSE:TM) success with Lexus shows that a company known for its discount products can effectively sell a more elite brand. 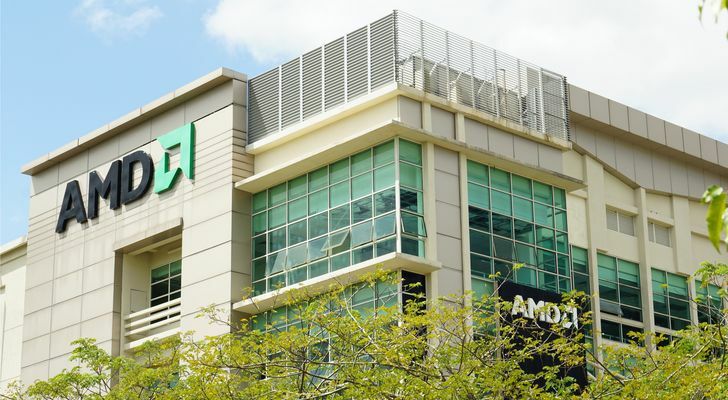 Intel Corporation (NASDAQ:INTC) and/or Nvidia Corporation (NASDAQ:NVDA) could look to buy AMD in order to get rid of a rapidly rising rival. According to Nasdaq.com, Intel has admitted that it will lose share to AMD in the server market this year. Meanwhile, AMD competes with Nvidia for novice miners of the up and coming cryptocurrency, ethereum, and it also competes with Nvidia in the gaming and machine learning markets. According to TechRadar, the two companies are “at each other’s throat” when it comes to gaming. AMD has said that its new 7 nm Vega chip “will (have) parity with Nvidia’s high-end Tesla V100 datacenter GPUs,” and AMD is looking to use its new Infinity Fabric interface product to compete with Nvidia’s NVLink product Forbes reported. Nvidia or Intel could definitely look to buy AMD to gain market share and eliminate a tough up-and-coming rival. Apple Inc. (NASDAQ:AAPL) suppliers could also look to acquire AMD in order to rejuvenate their growth and reduce their dependence on the iPhone maker. The iPhone maker’s best days look to be behind it, as The Nikkei reported that the tech giant expects to sell 80 million units of its upcoming new iPhone later this year, down from 100 million last year, according to CNBC. Moreover, the great success of Fitbit Inc’s (NASDAQ:FIT) new smartwatch, the Versa, can’t be good news for sales of Apple Watch. Noting that Apple suppliers have to be worried about being dumped by the iPhone maker which is looking to build more of its own chips, Bloomberg recently reported that one supplier, Dialog Semiconductor Plc, (OTCMKTS:DLGNF), is talking about buying touch screen technology maker Synaptics Incorporated (NASDAQ:SYNA), which is “far less reliant on Apple for sales.”Another supplier could very well look to accomplish the same goal by buying AMD. Like Lululemon, AMD stock, trading at a market cap of $15 billion, is a bit pricey for an acquisition. But either Intel or Nvidia could likely swing the deal, while a smaller company could team up with one or more private equity firms to get a takeover done. As I noted in a previous column, Treasury Secretary Steve Mnuchin has said that the U.S. can become “a major supplier” of energy to China, as the Asian country has “incredible amounts of demand” for U.S. liquid natural gas. As I also reported, Cheniere has already signed a major deal with a Chinese state-owned energy company, and it has the only operational LNG export terminal in the Gulf area. Demand for natural gas is surging in both Asia and Europe, where EU policy is reportedly poised to cause demand for the fossil fuel to accelerate over the next five years. Even Latin America appears to be getting into the act. Cheniere’s results seem to be rapidly improving as it signs more natural gas export contracts. In the first quarter of 2018, its net income came in at $357 million, up from $54 million during the same period a year earlier. Meanwhile, its consolidated net EBITDA jumped 88% year-over-year to $907 million, and the amount of LNG it exported surged 61%. Trading at just 7.3 times analysts’ consensus 2019 profit estimate, Cheniere stock is very cheap. And many large energy companies including Exxon Mobile Corporation (NYSE:XOM) and Chevron Corporation (NYSE:CVX) , could likely afford to pay a 50% premium to its $16 billion market cap. As of this writing, Larry Ramer owned shares of Fitbit. Article printed from InvestorPlace Media, https://investorplace.com/2018/06/3-potential-takeover-targets/.